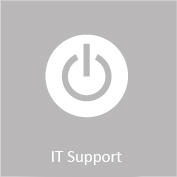 Our goal is to give our customers a first class IT support experience, 24 hours a day, 365 days of the year. Why Change IT Support Providers? – Swift IT does not tie clients into 6 or 12month contracts. Give Swift IT the opportunity to quote to provide the same level of support as your existing IT service provider and we are confident that not only will we beat the price but we will beat the service. The fear of changing providers often leaves companies thinking they are stuck with their current providers who provide an average service at a higher than average cost. With the current economic situation companies large and small need to ensure they are getting the best value for money service they can. Why switch to Swift IT? Understand your company vision and long term goals, enabling them to support your IT with this in mind? Are you locked into a complicated or lengthy contract? – Swift IT offers a no contract service. Does your current provider confuse you by using IT jargon? Are your users given the support and training they need to utilise their software and hardware to its full potential? Do you get a fixed price or inclusive price for all your IT project work? Are you told you need to upgrade software or buy new hardware when you cannot see any justification? Are you provided with full system documentation with settings and configurations and importantly passwords? Does your IT provider know how long you can afford your business critical machine to be down for, or do you know the cost in pounds and reputation? Do they seem too busy with another customer to give full attention to your immediate problem? Our proactive approach to your IT enables us to concentrate on providing a high quality, efficient and cost effective service whilst you can concentrate on your business. Give Swift IT the responsibility of keeping your IT infrastructure working properly so that you can concentrate on your core business activities. We will deliver: A Client/Server network that is reliable, resilient, accessible, recoverable and available - all day, every day. We make your IT infrastructure work effectively so that you don’t have the worry or the headaches, and spend your time doing what you do best, investing your time making money in your business, while being confident that the Swift IT team have your IT needs covered. How easy is it to switch to Swift? Swift IT have developed a Switch Strategy that makes it easier for you to change your IT provider, whilst also enabling us to gain a full understanding of your system and your requirements. We think that our professional relationship with you is a key factor to providing a great service and building a long term business relationship. Our Switch Strategy over will be as smooth as possible. A complete comprehensive changeover document. Liaise with existing provider for any required information. We will create full system documentation and provide you with a copy - we don’t hold your business to ransom. Ask all employees about ongoing issues they have. Ask employees how we can make their job easier. Discuss business goals and how IT can help us get there. Ask about plans for the business and vision for the future. Resolve on-going or niggling recurring issues. Free resources and tips to give you a head start in understanding how to get the best from your IT environment. Keep up in touch with Swift and stay up to date by following Swift on Facebook, Linked in and Twitter. Swift IT, 7 Shenley Pavilions, Chalkdell Drive, Shenley Wood, Milton Keynes, MK5 6LB.